Hi friends! 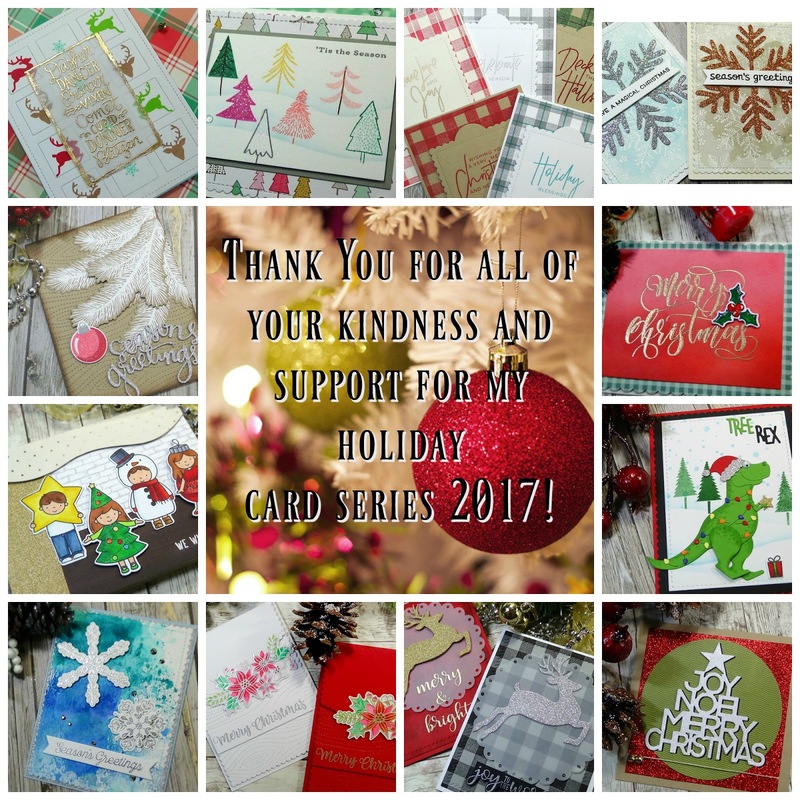 Today I have my final card to share for my Holiday Card Series! OK- so that brings me to my apology. I have failed at getting posts up for every card during this series, and that wasn't my intention. I was so focused on getting them created, filmed, edited and uploaded to Youtube, that I clearly neglected my blog readers ( how ever many there are ) too. My sincere apology for that. I will be transparent with you that by the time I had the video all ready to go, I was too lazy to write up the blog post for them too!! Well - what I am going to do is insert a link to the playlist, and you can pick and choose to see what ever card tutorial from the series. I also have a photo to share with ALL of the cards so you can see those as well if you are not interested in watching the video. 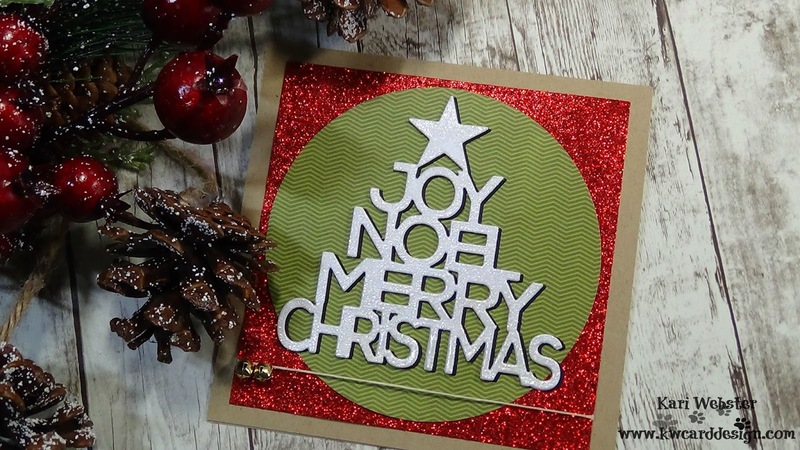 I know some just like to look at the photo of the card to get the inspiration! And, that is what I strive to do - give inspiration. 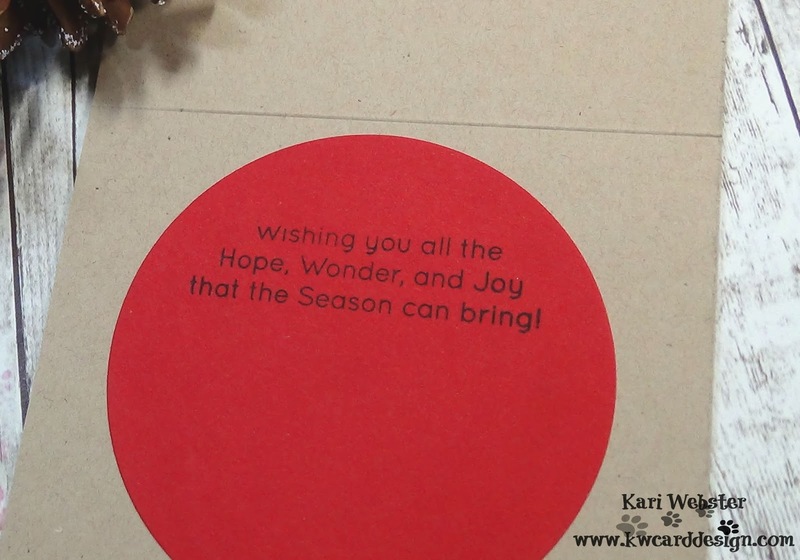 So - before I get to all that - I will share individually with you the 12th card in this series! 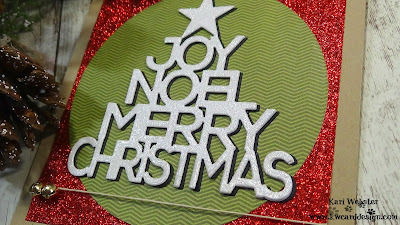 For my focal point, I used the Lil Inker Design Christmas Word Tree Die, and I love it! I have several ideas on how to use this die, but this is what I zeroed in on today. 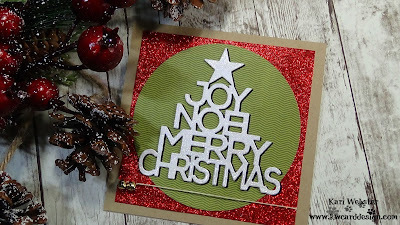 I, of course chose traditional colors, but I bumped up the look with glitter paper and glitter embossing powder to give extra shimmer and shine. I wanted the die cut to stand out, so I cut it out twice with white card stock and once with black, and adhered them together with Distress Collage Medium ( new to me adhesive). 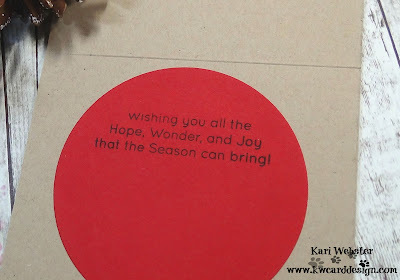 For the inside I die cut a piece of Pure Poppy Card stock with my circle die from sizzix and stamped my sentiment from the SSS Inside Holiday Greetings with Versafine Black ink. 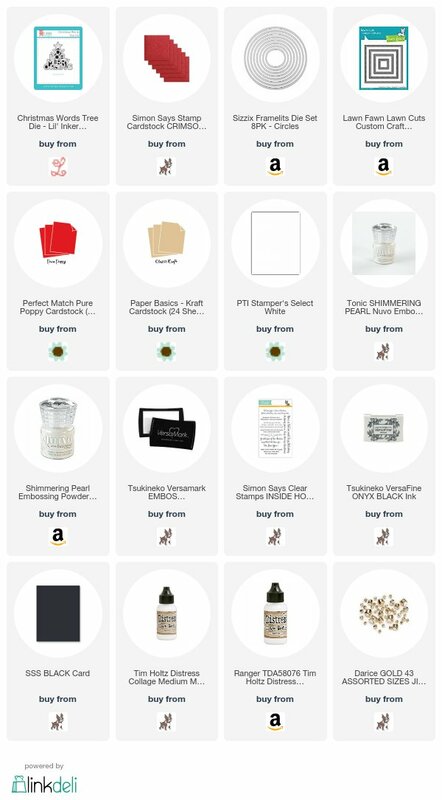 For all of the supplies for this card - they will linked below in case you are interested. Here is the LINK to the entire playlist of all 12 videos if interested! And, here is a look at all of the cards created for this series! Thank you for watching and commenting on the videos and reading the posts ( when I posted ) and again I am so sorry for slacking on the posts. I hope to do better next year!